I have just noticed that since adding that code i now see duplicates of any products that have been added after the code change was made. Any ideas why the category page would do that? the product is only added one in the admin area but displaying twice on the category page. Here is the code from that area. I see it has ccScroll implemented. Anybody know how to make the website show more products below the existing products when you click on More? Currently when you click on more it just replaces what is there with the next 12 products. Before the latest upgrade a while back it added the next group of products below, so you could see say 48 products at once on the same page. Well I got the browser ready and dropped the images in the drop zone and they uploaded perfectly at lightning speed! I will check with my host but not aware of any limits. Would CubeCart impose any limits? 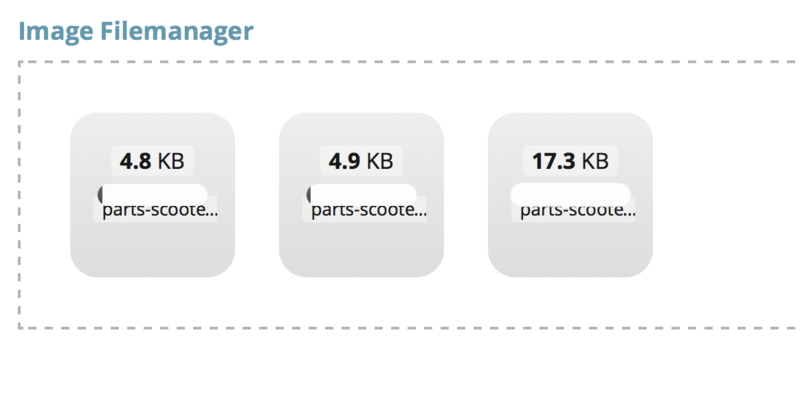 It's still possible to upload via FTP but not via file manager. I am having trouble uploading images via the file manager. It was fine two days ago but now it has just stopped working. I have asked my web host if they have made any changes and they say they have not so i am a bit stumped. Any ideas of what i need to check? Thank again for your help! I use this is element.meta.php to get it to pick up the image I want. Otherwise it picks up the wrong image for me too. I used Brian's suggestion above and that worked. 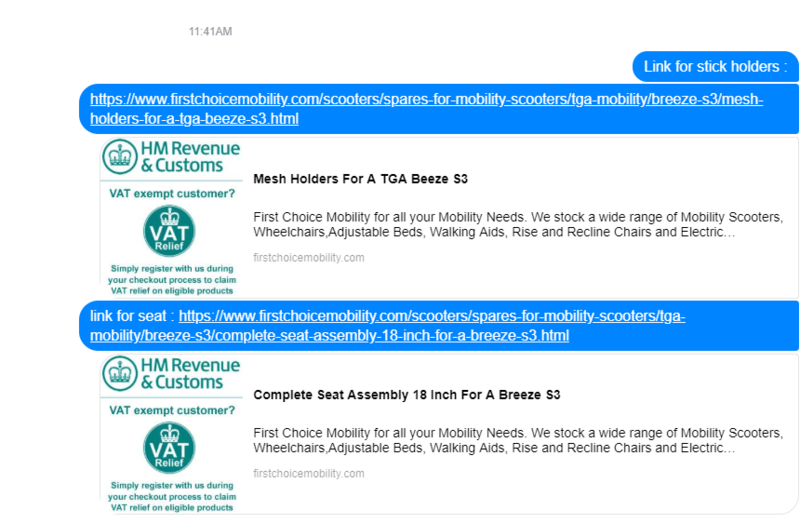 Sometimes we copy and paste the website address like this - https://www.firstchoicemobility.com/freerider-mayfair-mobility-scooter.html - in to a facebook message but for some strange reason the message always displays the VAT Relief image from the checkout page instead of the actual product image. Any Idea why it's grabbing this image and not the product image? I simply removed the http: and presto its works! Anyone have any idea why the contact form on the bottom of this page is not displaying? [Warning] [blocked] The page at about:blank was not allowed to display insecure content from http://easyform.acorn-partner.co.uk/52365. I was wondering if anyone knows of some code that can be added to "Refresh" the page or the main menu anytime the web browser is resized on a desktop. I don't need this to happen when the site is being viewed on a mobile or tablet, only for the desktop view. Basically, I have a problem with a menu layout that doesn't resize it's self correctly when the web browser is resized manually. Any takers to carry out the work? Cheers will take a look at the link above and let you know if it does what i need. Will take a look at the menu and see. I am in the need of a couple of modifications. I currently have a large dropdown menu that works fine apart from when the web browser is resized. the text then gathers up on the left hand side. Apparently this is because the coding used (Isotope) for the menu should not be used like that so there is no fix. So I would like a new menu created the same without the browser resizing issue. The ability to re-order images to display on the product page in the order i wish. Please contact me if you are able to carry one or all of the modifications. Ideally we would like to set the order of the images differently depending on the product page. otherwise we will have to re-name images to get them in-line. Are you aware of any mods/plugins that offer this? I was wondering if anyone is aware of how to arrange the images within the gallery area on the product page in to a certain order. For example drag and drop in to position from within the admin area or alphabetically within the code. Hi Claudia, Yes I saw this and think I will go down the same route as it looks like a great plugin. 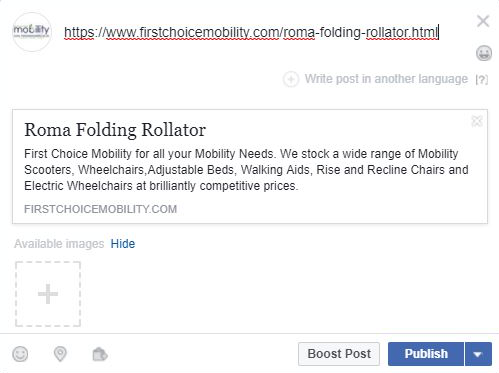 If we copy the address of a product and simply paste it in to Facebook...The CC3 version also displays the image. 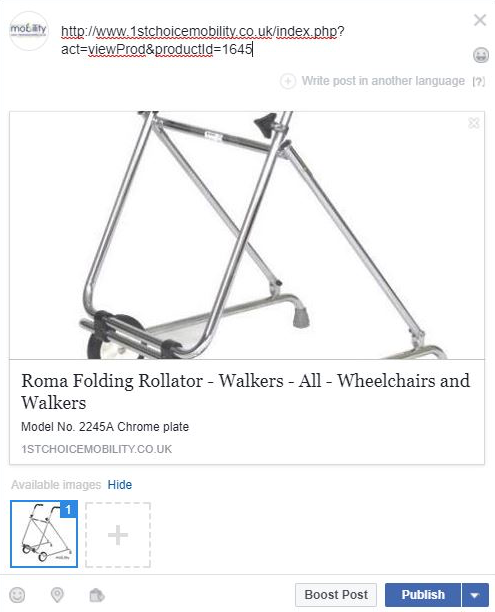 The cc6 version doesn't show the image and also captures the Meta Description so all posts are the same, apart from the title of the product. 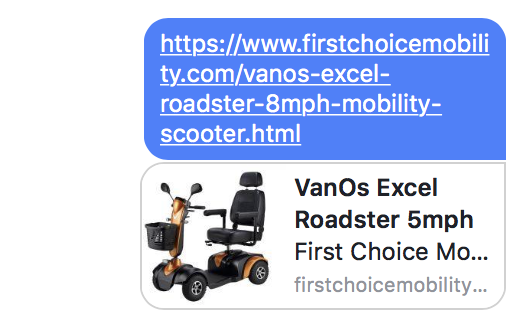 We have found the copy and paste of the title in the address bar really handy over the years but seems cc6 has brought this quick way of posting to an end? Any suggestions on how to solve this issue would be much appreciated. I tried what you have suggested but now i have the white screen you mentioned before, when trying to view the language file.